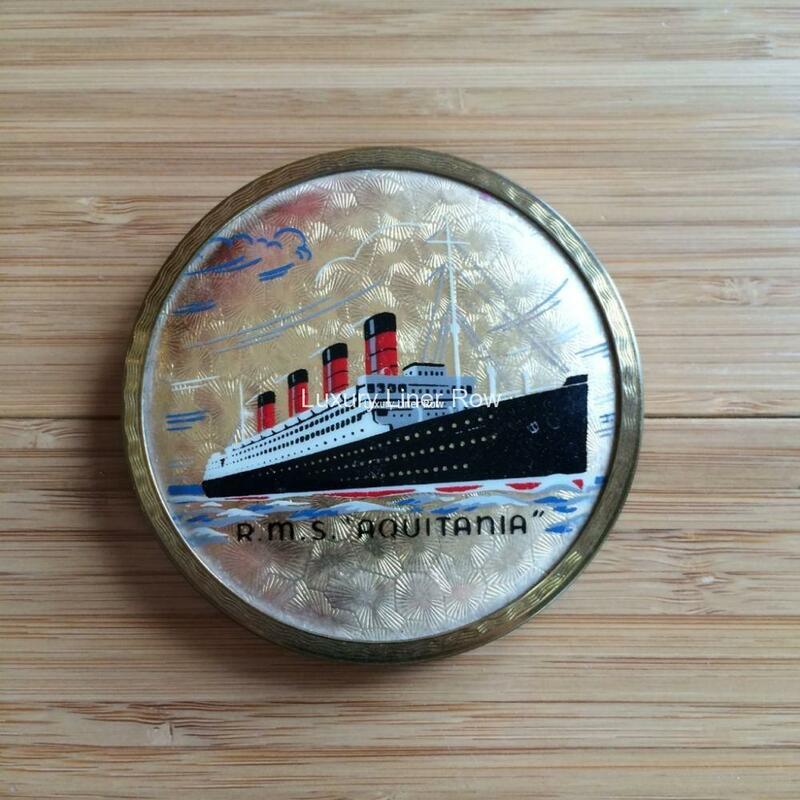 Sought-after souvenir compact as sold in Aquitania’s gift shop. A nice item that dates to the 1930’s or 1940’s. Still has some powder in it. In excellent condition.